The stars came out to support Karl Lagerfeld at his mobile Chanel Contemporary Art Container in New York. 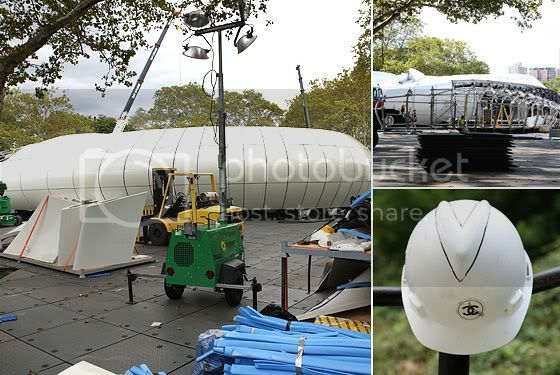 The exhibit is located in Central Park in New York City for now, but this is just one stop on its world tour. Karl hosted a party for his guests, which included Sarah Jessica Parker, Padma Lakshmi, Kate Bosworth and Helena Christensen. Karl told reporters that "Chanel is supposed to be for everybody." 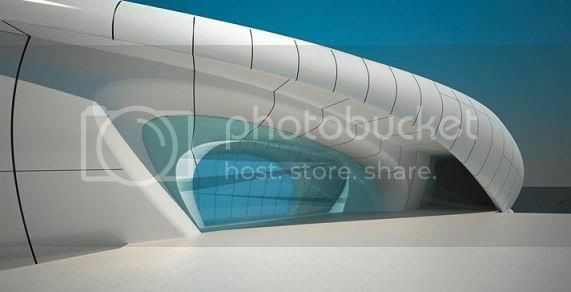 The long, curving white exhibit was designed by Zaha Hadid and is free to the public until November 9th. Then the exhibit heads off to Hong Kong, London, Moscow and Paris. The event is in celebration of the 50year anniversary of the ubiquitous 2.55 Chanel handbag. 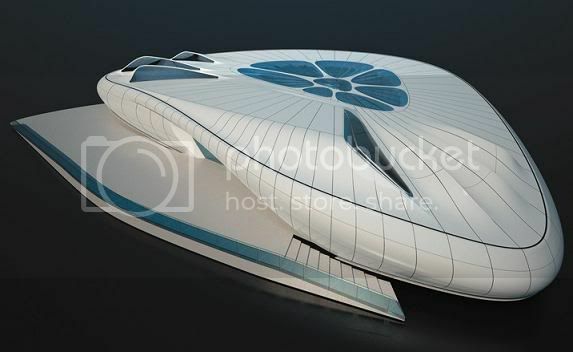 The mobile art structure which resembles a futuristic spaceship has already well traveled ground in Hong Kong and Tokyo. 15 artists was commissioned to display their Chanel inspired pieces at the show and it is sure to draw huge crowds to the Rumsey playfield. Click "Read More" to view photos and a video clip of the Greatest Handbag Pavilion Known to Man. The exhibit, which showcases Chanel-handbag-inspired art, opened to the public last October 20. The structure designed by Zaha Hadid took three weeks to assemble. As you see, Chanel has provided construction workers with some mighty fine hard hats. Steal one before Chanel starts selling them in stores for thousands of dollars. ‘I want to be part of what’s happening’ Coco Chanel used to say. So she’d no doubt wholeheartedly approve of Karl Lagerfeld’s latest venture whereby the charismatic creative at the helm of Chanel has teamed up with Zaha Hadid and twenty cutting-edge artists from around the globe for Mobile Art Exhibit. Lagerfeld personally commissioned Hadid to design a mobile, collapsible exhibition pod after we introduced the pair for our W* 092 Power Couples feature in the 10th anniversary issue. Lagerfeld chose Hadid as his architectural hero and, following a double portrait of the pair on a rainy June morning outside the Mercer Hotel in New York, the rest is history. The artists were given a brief to create works based around Chanel’s back catalogue of iconic handbags. This involved first being given a tour of Coco Chanel’s apartment in Paris and of the workshops in Verneil where the bags are handmade. Interpretations of the brief of course vary enormously. Stephen Shore chose to shoot the workshops in the style of American landscapes whilst Sylvie Fleury lined an entire room in leather, giving the impression of walking inside a handbag. Mobile Art will travel from Hong Kong to Tokyo, New York, Los Angeles, London, Moscow and Paris over the course of two years. Here's a clip from the receent Mobile Art Chanel Contemporary Art Container Opening.